As with any major PC game, Civilization VI also has to deal with errors, lags and other issues. In this guide, we'll show you how to fix some of the most common problems that you face in Civ 6. But first thing first: make sure that your computer or laptop meets the following minimum and recommended system requirements. 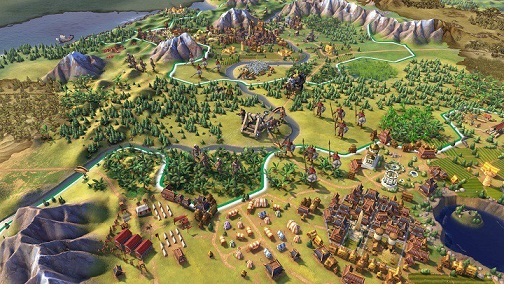 This will help you to eliminate many Civ 6 problems. If Civ 6 crashes after game start and play the Intro sequence or the screen freeze, there is currently only one solution to this issue. Disable the Windows Defender on your PC. This can lead to the freezing of Civ 6. There are currently a lot of players complaining about this issue. For this, there are currently two suggested solutions that have helped many. - Open Windows Defender and click the gear icon at the top right, which shows the setting options. - Here you can use Add an Exclusion"”. - Enter "Windows Firewall" in the Windows search and go to the option to add programs that are allowed to communicate through the firewall. - Click on "Change settings" and look for the Civilization VI list. - Set a check mark to "Public" and "Private". Go to your Civ 6 game directory. Then right-click on the game in Steam. - Select the properties and go to the tab with the "Local Files"”. - Open the file “WorldInput.xml”. Save the file and the problem should be fixed. Don’t forget to back up the file before you proceed with above solution. To do this, you first need the file logos.bk2. Then go to your game directory with the movies (\Sid Meier’s Civilization VI\Base\Platforms\Windows\Movies\). Copy the downloaded file into it after you have created a backup. If you get an error message when you start the game, you are missing.dll file, You are not alone. For example, this can be the file MSVPC140.dll (Visual C++ Redistributable). Uninstall the old version in such a case and download the latest version for x64 and x86 via Microsoft. Install the software and restart the PC. If you have trouble with sound in Civ VI, then lowering the sound quality can fix the issue. Go to the settings of your playback device. Select "Properties" and "Advanced" and reduce the quality. Windows 10 - if you have to fight with defective gameplay, go into your "Documents" folder. Create a new "My Games" folder with the sub-folder "Sid Meier's Civilization VI", so that the gameplay progress can be saved correctly. 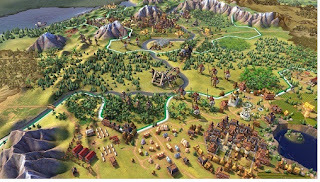 If you want to have the camera rotation as in older parts of the Civ series, you have to hold down the Alt key and then navigate with the mouse on the map. Open the file in the root folder "AppOptions" and swap under the point the ??? With the desired resolution. - Render width in pixels - RenderWidth ??? - Render height in pixels - RenderHeight ??? Go to your game list \Steam\steamapps\common\Sid Meier’s Civilization VI\Base\Assets\Gameplay\Data And open the file with the name “GlobalParameters.xml”. Make the following changes after you have made a backup.